Whether they relieve a painful headache, treat your little one’s fever, or control hypertension, medications are part of your daily life and essential to your health and that of your loved ones! Taking them is no trivial matter, which is why it’s important to know how to use, administer, and store them. 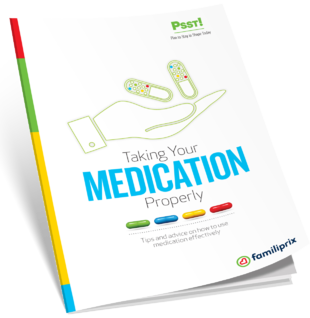 In this guide you’ll find valuable tips and advice regarding medications for children, adults, and seniors. Does it really matter if you take antibiotics exactly as prescribed? How can you remind yourself to take your medication?